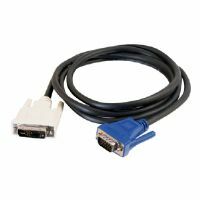 The P581-006-V2 DisplayPort 1.2 to DVI active adapter cable connects a DisplayPort computer to the DVI port on a monitor, projector or television. 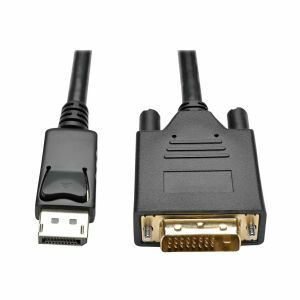 With a latching DisplayPort male connector on one end and a DVI-D male connector on the other, this cable requires no separate adapter. 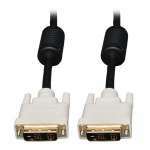 It lets you use your existing DVI display instead of buying a new DisplayPort monitor. First-class foil and braid shielding delivers reliable, error-free signal quality and protection from EMI/RFI interference. Gold-plated connectors and contacts ensure excellent conductivity. The Displayport plug latches to the port to provide a secure connection. Integral strain relief ensures the cable and molded connectors last a long time.